Caregiver stress is an increasingly prevalent malady afflicting millions of Americans. One-in-five U.S. households provide care for an adult family member. Caregiver stress is both physical and mental, characterized by malaise, chronic enervation, poor work performance, and despondency. Caregivers suffer diminished health and increased susceptibility to substance abuse and habitual disorders. Caregivers also face strain in their own family relationships between spouses and children. In the workplace, Caregivers are less productive employees. Caregiver Services was created to be a comprehensive solution to the contemporary challenges of caregiving. Major program components include: (1) unlimited, access to an experienced caregiver advocate by phone or instant messaging, and unfettered access to the GIS fraud department to prevent financial abuse; (2) a web-based portal for accessing caregiver information and searchable databases; (3) health and wellness-based resources; and (4) Caregiver App with unlimited resources and capabilities to assist a caregiver. The caregiver advocate quickly becomes a trusted source, providing the family caregiver with guidance to ongoing challenges of caring for their loved one. A personal caregiver advocate is available to provide one-on-one consultation and help address urgent needs such as benefit eligibility and long-term planning. The caregiver advocate will also direct specialized services such as Medicare and Medicaid questions. Caregiver advocates and services span across several areas including eldercare, oncology, head trauma, pulmonary vascular disease, congestive heart failure, substance abuse, and family-stress relationships. Financial abuse has been dubbed the "Crime of the 21st Century." Protecting a loved one's financial assets must be a priority for caregivers. Protection begins by assembling crucial documents and replacing those that are missing with the assistance of a GIS fraud specialist. The fraud specialist then performs an exhaustive credit file review and resolution of existing fraud. Fraud specialists are also available to facilitate the settlement of a spouse's estate including credit review, deceased's file suppression, searching for imbedded life benefits, and death notification to all relevant parties. Caregivers need certain knowledge and skills both to provide the best possible care and to protect their own well-being. Many caregivers feel they don't have the necessary knowledge so they lack confidence which exacerbates distress. Medical experts strongly advise caregivers to seek educational programs to satisfy these challenges. An added stress factor is the selection of an appropriate, cost effective medical provider or long-term institution. Caregiver Services provides extensive educational resources and links directly to federal databases which are indispensable for initially screening medical providers and long-term institutions. Medicare was once well-defined and easily understood. Subsequent legislation has complicated the program, not unlike our "clear as mud" tax code. Folks are now forced to interpret confusing nomenclature and vague acronyms. Medicare remains fairly straight forward, but does require an effort to grasp the primary concepts. 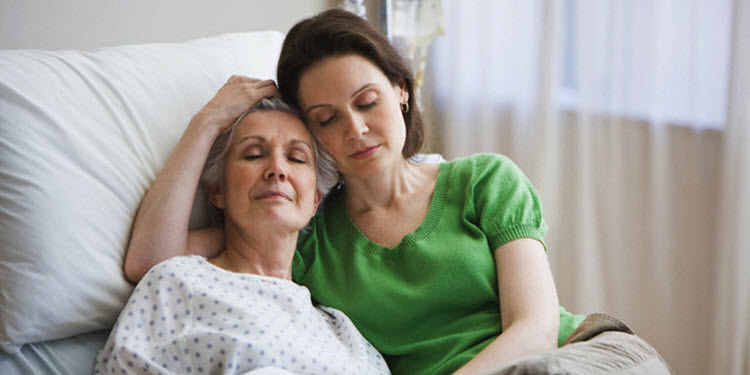 Caregiver's Guide to Medicare is intended to facilitate this effort. To control residual costs, the service includes a platform for initial screening of covered benefits and a link to the Medicare database to identify physicians accepting assignment. Services include access to over 100 gerontology resources and professional assistance that might substitute for more costly medical services. Caregivers can also find resources to improve their own personal health as they provide care to their loved ones. Caregivers can find helpful resources to make daily living easier, articles with topics addressing areas of stress, and tips for having a healthy lifestyle and healthy relationships. Unlimited access to caregiver specialist. Specialist protection against financial abuse and estate settlement. An extensive library of caregiver information, and databases. Medicare guidelines, screening of initial needs, and help reducing costs. Suggestions and resources for health and wellness. Resources and tools at the touch of your fingertips.